If I can satisfy Americans that Auricular Confession is dangerous to their liberties; if I can show them that it is the source and fountain of many, if not all, those treasons, debaucheries, and other evils, which are now flooding this country, I shall feel that I have done an acceptable work, and some service to the State. 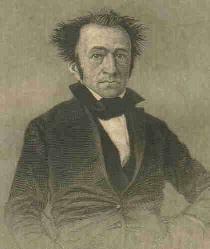 I fear, however, that I shall fail in this; not because what I state is not true, and even admitted to be so, but because Americans seem determined, I would almost say fated - to political and moral destruction. For twenty years I have warned them of approaching danger, but their politicians were deaf, and their Protestant theologians remained religiously coiled up in fancied security, overrating their own powers and undervaluing that of Papists. Even though they see and feel, and often blush at the logical triumph, which popish controversialists have gained, and are gaining over them in every intellectual combat in which they engage; yet such is their love of ease or love of money, or something else, that they cannot be roused until the enemy falls upon them with an annihilating force. It is painful to me to see this indifference upon their part. They are better able than I am to contend with Papists. They possess more talents, and have more friends than I have to sustain them. This is the land of their birth. It is not mine, but not the less dear to me. The religion of this country is the religion of their forefathers, and of the Bible; it is peculiarly their duty to defend both. Every crime, as I have stated before, which the Romish church sanctions, and almost all the immoralities of its members, either originate in or have some connection with Auricular Confession; and in order to explain this to my readers, it will be necessary for me to go back and state the causes which first induced me to doubt the infallibiiity of the Romish church. I have often been asked the following question: Why did you leave the Roman Catholic church? Before I answer this question, I may well exclaim, in the language of the ancient poet, omitting only one word, "Oh! nefandum, jubes, renovare dolorem." But however painful the relation may be; however offensive to the ears of the virtuous and chaste; however disgusting to the pious and moral portion of our community; however at variance with the elegances and formalities of private life; however heavily such a narrative may fall upon Roman priests and bishops, and disreputable it may be to nuns and Nunneries, I will answer the above question, so often and so frankly put to me by many even my personal friends. Several causes have contributed to induce me to doubt the infallibility of the Popish church, and to renounce its ministry altogether. Among the first was the following: When quite young and but just emerging from childhood, I became acquainted with a Protestant family living in the neighborhood of my birthplace. It consisted of a mother (a widow lady) and three interesting children, two sons and one daughter. The mother was a widow, a lady of great beauty and rare accomplishments. The husband, who had but recently died, one of the many victims of what is falsely called honor, left her, as he found her, in the possession of a large fortune, and, as far as worldly goods could make her so, in the enjoyment of perfect happiness. But his premature death threw a gloom over her future life, which neither riches nor wealth, nor all worldly comforts combined together, could effectually dissipate. Her only pleasure seemed to be placed in that of her children. They appeared - and I believe they really were - the centre and circumference of her earthly happiness. In the course of time the sons grew up, and their guardian purchased for both, in compliance with their wishes, and to gratify their youthful ambition, commissions in the army. The parting of these children, the breaking up of this fond trio of brothers and sister, was to the widowed mother another source of grief, and tended to concentrate more closely all the fond affections of the mother upon her daughter. She became the joy of her heart. Her education while a child was an object of great solicitude, and having a fortune at command, no expense was spared to render it suitable for that station in life, in which her high connections entitled her to move when she should become of age. The whole family were members of the Protestant church, as the Episcopal church is called in that country. As soon as the sons left home to join their respective regiments, which were then on the continent, the mother and daughter were alone, so much so, that the fond mother soon discovered that her too great affection for her child and the indulgence given to her were rather impeding than otherwise her education. She accordingly determined to remove her governess, who up to this period was her sole instructress, under the watchful eye of the fond and accomplished mother herself and send her to a fashionable school for young ladies. There was then in the neighborhood, only about twenty miles from this family, a nunnery of the order of Jesuits. To this nunnery was attached a school superintended by nuns of the order. The school was one of the most fashionable in the country. The nuns who presided over it, were said to be the most accomplished teachers in Europe. The expenses of an education in it were extravagantly high, but not beyond the reach of wealth and fashion. The mother, though a Protestant, and strict and conscientious in the discharge of all the duties of her church, and not without a struggle in parting with her child and consigning her to the charge of Jesuits, yielded in this case to the malign influence of fashion, as many a fond mother does even in this our own land of equal rights and far-famed, though mock equity, sent her beautiful daughter, her earthly idol, to the school of. these nuns. Let the result speak for itself. Up to the departure of the sons for the army, and this daughter for the nunnery, I had been ever from my infancy acquainted with this family, and had for them the highest respect and warmest attachment: the elder brother was about my own age and only a few years between the eldest and the youngest child. Soon after the daughter was sent to school, I entered the College of Maynooth as a theological student and in due time was ordained a Roman Catholic priest by particular dispensation being two years under the canonical age. An interval of some years passed before I had an opportunity of meeting my young friend again; our interview was under peculiar circumstances. I was ordained a Romish priest, and located where she happened to be on a visit. There was a large party given at which, among many others, I happened to be present; and the meeting with my friend and interchanging the usual courtesies upon such occasions, she - sportively as I then imagined - asked me whether I would preach her reception sermon, as she intended on becoming a nun and taking the white veil. Not even dreaming of such an event, I replied in the affirmative. I heard no more of the affair for about two months, when I received a note from her designating the chapel, the day and the hour she expected me to preach. I was then but a short time in the ministry, but sufficiently long to know that up to the hour of my commencing to read Popish theology, especially that of Dens and Antoine de Peccatis, I knew nothing of the iniquities taught and practised by Romish priests and bishops. At the receipt of my friend's note, a cold chill crept over me; I anticipated, I feared, I trembled, I felt there must be foul play somewhere. However, I went according to promise, preached her reception sermon at the request of the young lady, and with the special approbation of the Bishop whom I had to consult on such occasions. The concourse of people that assembled on this occasion was very great. The interest created by the apparent voluntary retirement from the world of one so young, so wealthy and so beautiful, was intense, and accordingly the chapel in which I preached was filled to overflowing with the nobility and fashionables of that section of the country. Many and large were the tears which were shed, when this beautiful young lady cut off her rich and flowing tresses of hair. Having no clerical connection with the convent in which she was immured, I had not seen her for three months following. At the expiration of that time, one of the lay sisters of the convent delivered to me a note. I knew it contained something startling. These lay sisters among Jesuits, are spies belonging to that order, but are sometimes bribed by the nuns for certain purposes. As soon as I reached my apartments, I found that my young friend expressed a wish to see me on something important. I, of course, lost no time in calling on her, and being a priest, I was immediately admitted; but never have I forgot, nor can I forget, the melancholy picture of lost beauty and fallen humanity, which met my astonished gaze in the person of my once-beautiful and virtuous friend. I had been then about eighteen months a Romish priest, and was not without some knowledge of their profligate lives; and therefore I was the better prepared for and could more easily anticipate what was to come. After such preliminary conversation as may be expected upon occasions of this kind the young lady spoke to me to the following effect, if not literally so. I say literally, because so deep and strong, and lasting was the impression made upon my mind, that I believe I have not forgotten one letter of her words.... "I sent for you, my friend to see you once more before my death. I have insulted my God and disgraced my family; I am in the family way and I must die." After a good deal of conversation which it is needless to repeat, I discovered from her confession the parent of this pregnancy and the mother abbess of the convent had advised her to take medicine which would effect abortion: but that she knew from the lay Sister who delivered me the note, and who was a confidential servant in the couvent, that the medicine which the mother abbess would give her should contain poison, and that the procuring abortion was a mere pretext. I gave her such advice as I could in the capacity of a Romish priest. I advised her to send for the bishop and consult him. "I cannot do it," said she. "My destroyer is my confessor." I was silent. I had no more to say. I was bound by oath to be true to him. In vain did the noble sentiment even of the Pagan occur to me; a sentiment sanctioned almost by inspiration itself. It fled from my mind as smoke before the wind. I was one of the priests of the infallible church, and what was honor, what was honesty to me, where the honor of that infallible church was concerned? They were of no account; not worthy the consideration of a Romish priest for a second. The almost heavenly sentiment of the noble Pagan, "Fiat justitia, ruat coelum," let justice be done even if the heavens were to fall, fled from my mind. I retired, leaving my friend to her fate, but promising, at her request, to return in a fortnight. According to promise, I did return in a fortnight, but the foul deed was done. She was no more. The cold clay contained in its dread embrace all that now remained of that being, which, but a few months before, lived, and moved in all the beauty and symmetry of proportion; and that soul, once pure and spotless as the dew-drop of heaven, ere its contact with the impurities of earth, which a fond mother confided to the care of Jesuit nuns, had been driven in its guilt and pollution into the presence of a just but merciful God. All, all, the work of Jesuits and Nuns! This was the first check my Popish enthusiasm met with; and now for the first time did a doubt of the infallibility of the church of Rome enter my mind. After witnessing these events I could not help asking myself, can a church which sanctions and countenances such flagitious iniquities as I have just witnessed be a Christian church? Can a body of men, who individually practise such deeds of blood, treachery and crime as those which I have seen, be, collectively, infallible? Are these the men whom the Saviour commissioned, in a particular manner, to preach the gospel to every creature? Are these the men, as a body, with whom he promised to be always, even to the consummation of the world? Are these the men who collectively constitute an infallible church? If so, unprofitable indeed has been my life. It is high time to come out from among them; and if I cannot live the life of luxury and ease, of sin and crime which a Romish priest can live, let me, at least, live that of an honorable man, and a useful member of society. Europe is not the only portion of the world that contains legalized Sodoms. Its people are not the only people that support them. Its lawgivers are not the only men, nor its lawmakers the only ones, that make laws for them and give them charters. Its people are not the only people who contribute their time, their lands, their moneys, and who take almost from the necessaries of life, to support monk houses and nunneries, Jesuits and Dominicans. No, no. The new world, the new people, if I may say so, who boast of being the most enlightened people on the face of the earth -these are the people who, ill proportion to their number, contribute most to the support of Popish brothels, modestly called nunneries. But it will be said that the young lady to whom I have alluded, has given no evidence of her being virtuous. As far as you tell us, she has made no resistance, and it is scarcely possible that one whom you have placed upon so high a prominence of virtue, could have so suddenly fallen into the depths of vice. This is all very plausible, and naturally to be expected from those who know nothing of auricular confession, a Popish institution, one of the most ingenious devices ever invented by the great enemy of man for the destruction of the human soul. 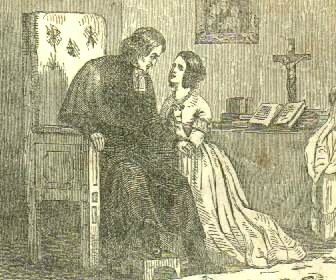 I am personally acquainted with several respectable Protestant Americans, both male and female, whose ideas of confession in the Romish church have often amused me, though not unaccompanied with feelings of grief and sorrow, at their unacquaintance with this, what may be called man-trap, or rather woman-trap in the Romish church. American Protestants suppose that Popish confession means little more than that public confession of sin, which is made in all Protestant churches, or that which we individually make to Almighty God in our private chambers. Such may well inquire how this apparent sudden fall could have taken place. These inquiries will cease when I state that the young lady became a convert to Popery and give my readers some idea of what auricular confession is, and how it is, made. Every Roman Catholic believes that priests have power to forgive sins, by virtue of which power any crime, however heinous may be remitted. But in order to effect this the sinner must confess to a priest each and every sin, whether of thought, word or deed, with all the circumstances leading to it, or following from it; and every priest who hears confessions, is allowed to put such questions as he pleases to his penitent, whether male or female, and he or she is bound to answer under pain of eternal damnation. It is very difficult, I admit, to suppose that this daughter of a virtuous mother, and that mother a Protestant too, brought up in the elegances of life, from her birth, breathing in no other atmosphere than that of the purest domestic morality, should be precipitated, in the short space of a year or two, from a state of unsullied virtue and innocence, to the veriest depth of crime; and it is a melancholy reflection to suppose a state of society, in which, by any combination of human events, the fond mother of a virtuous child could be made the instrument of that child's ruin. Such an event is scarcely possible in the eyes of Protestant Americans, and I feel a pride in believing, from my acquaintance with many of them, that if American mothers were aware of the existence of a society among them, whose object was to demoralize their children, shut out from them the noonday light of the gospel, and ultimately decoy them into the lecherous embraces of Romish priests and Jesuits; they would, to a woman, rise in their appropriate strength, and deliver our land fiom those legalized Sodoms called nunneries. I will here take the liberty of showing them how the young friend to whom I have alluded, was debauched. The nunnery to which she was sent, as I have heretofore stated, had attached to it a fashionable school; all nunneries have such. The nuns who instruct in those schools in Europe, are generally advanced in years., descendants from the first families, and highly accomplished. Most, if not all of them, at an early period of life met with some disappointment or other. One perhaps was the daughter of some decayed noble family, reduced by political revolutions to comparative poverty, and now having nothing but the pride of birth, retired to a convent. She could not work, and she would not beg. Another, perhaps, was disappointed in love; the companion of her own choice was refused to her by some unfeeling, aristocratic parent. No alternative was left but to unite her young person with the remains of some broken-down debauchee of the nobility. She prefers going into a convent with such means as she had in her own right. Another, perhaps, like my young friend, and thus is the case with most of them, was seduced by some profligate priest while at school, degraded in her own eyes, unfitted even in her own mind to become the companion of an honorable man seeing no alternative but death or dishonor, she goes into a convent. These ladies, when properly disciplined by Jesuits and priests, become the best teachers. But before they are allowed to teach, there is no art, no craft, no species of cunning, no refinement in private personal indulgences, or no modes or means of seduction, in which they are not thoroughly initiated; and I may say with safety, and from my own personal knowledge through the confessional, that there is scarcely one of them who has not been herself debauched by her confessor. The reader will understand that every nun has a confessor; and here I may as well add, for the truth must be told at once, that every confessor has a concubine, and there are very few of them who have not several. Let any American mother imagine her young daughter among these semi-reverend crones, called nuns, and she will have no difficulty in seeing the possibility of her immediate ruin. When your daughter comes among those women, they pretend to be the happiest set of beings upon earth. They would not exchange their' situation for any other this side of heaven. They will pray. So do the devils. They will sing. So will the devils, for aught I know. Their language, their acts, their gestures, their whole conduct while in presence of the scholars, or their visitors, is irreproachable. The mother abbess, or superior of the convent, who invariably is the deepest in sin of the whole, and who, from her age and long practice, is almost constitutionally a hypocrite, appears in public the most meek, the most bland, the most courteous, and the most humble Christian. She is peculiarly attentive to those who have any money in their own right: she tells them they are beautiful, fascinating, that they look like angels, that this world is not a fit residence for them, that they are too good for it, that they ought to become nuns, in order to fit them for a higher and better station in heaven. Nothing more is necessary than to become a Roman Catholic and go to confession. Such is the apparent happiness, cheerfulness, and unalloyed beatitudes of the nuns, that strangers are pleased with them. They invariably make a favorable impression on the minds of their visitors. The inference is that they must be truly pious and really virtuous. But to return to the causes which induced me to leave the Romish church. The young lady of whom I have spoken in a previous page, was sent to school, as I have stated, to a Popish nunnery. She was a Protestant when she entered; so are many young ladies in this country when they enter similar schools. The nuns immediately set about her conversion. The process by which such things are done is sometimes slow, but always sure. It is often tedious, but never fails; though the knowledge European Protestants have of such institutions, renders the process of conversion more tedious than in this land of freedom and Popish humbuggery. The work of her conversion proceeded with the usual success, until she finally joined the Romish church. The next step, in such cases, is to choose a confessor. This is done for the young convert by the mother abbess of the nuns; and now commences the ruin of the soul and the body of the hitherto guileless, guiltless scholar, and convert from Protestant heresy. She goes to confession; and recollect, American reader, that what I here state is "Mutata fabuta de te ipso narratur." Every word of what I am about to state is applicable to you. This confession is, literally speaking, nothing but a systematic preparation for her ruin. It is said that there is, among the creeping things of this earth, a certain noxious and destructive animal, called Anaconda. It is recorded of this animal, foul, filthy and ugly as he is, that when he is hungry, and seizes upon an object which he desires to destroy and subsequently devour, he takes it with him carefully to his den, or place of retreat. There, at his ease, unseen and alone with his prey, he is said to cover it over with slime, and then and there swallow it. I now declare, most solemnly and sincerely, that after living twenty-five years in full communion with the Roman Catholic church, and officiating as a Romish priest, hearing confessions, and confessing myself, I know not another reptile in all animal nature so filthy, so much to be shunned and loathed, and dreaded by females, both married and single, as a Roman Catholic priest, or bishop, who practises the degrading and demoraIizing office of auricular confession. Let me give American Protestant mothers just a twilight glance at the questions which a Romish priest puts to those females, who go to confession to him, and they will bear in mind that there is no poetry in what I say. It contains no undulations of a roving fancy; there is nothing dreaming, nothing imaginative about it; it is only a part of a drama in which I have acted myself. The following is as fair a sketch as I can, with due regard to decency, give of the questions which a Romish priest puts to a young female, who goes to confession to him. It is, however, but a very brief synopsis. But first let the reader figure to himself, or herself, a young lady, between the age of from twelve to twenty, on her knees, with her lips nearly close pressed to the cheeks of the priest, who, in all probability, is not over twenty-five or thirty years old-for here it is worthy of remark, that these young priests are extremely zealous in the discharge of their sacerdotal duties, especially in hearing confessions, which all Roman Catholics are bound to make under pain of eternal damnation. When priest and penitent are placed in the above attitude, let us suppose the following conversation taking place between them, and unless my readers are more dull of apprehension than I am willing to believe, they will have some idea of the beauties of Popery. Confessor: What sins have you committed? Penitent: I don't know any, sir. Confession: Are you sure you did nothing wrong? Examine yourself well. Penitent: Yes, I do recollect that I did wrong I made faces at school at Lucy A.
Penitent: Yes; I told mother that I hated Lucy A. and that she was an ugly thing. Confessor: (Scarcely able to suppress a smile in finding the girl perfectly innocent.) Have you had any immodest thoughts? Penitent: What is that, sir? Confessor: Have you not been thinking about men? Confessor: Are you fond of any of them? Penitent: Why, yes; I like cousin A. or R. greatly. Confessor: Did you ever like to sleep with him? Confessor: How long did these thoughts about men continue? Confessor: Had you these thoughts by day, or by night? In this strain does this reptile confessor proceed, till his now half-gained prey is filled with ideas to which she has been hitherto a stranger. He tells her that she must come tomorrow. She accordingly comes and he gives a twist to the screw, which he has now firmly fixed on the soul and body of his penitent. Day after day, week after week, and, month after month does this this hapless girl come to confession. Until this wretch has worked up her passion to a tension almost snapping, and then becomes his easy prey. They even go further; they perpetrate the grossest outrages upon every law, moral and civil, in utter defiance of American jurisprudence. They keep their nunneries, or rather seraglios, in the very midst of them, surround them with ramparts, and not only deny to their civil magistrates the right of entrance, but defy them to do so. This every American citizen knows to be a fact; at least, it is known in the city of Boston, where I now write. No one was admitted within the walls of the Ursuline convent, which an indignant populace reduced to ashes, without special permission from the mother abbess, allowing the nuns within to assume the appearance of decency and propriety before they showed themselves, however flagrant their conduct might have been. Time was given to them and to the priests to assume their usual sanctimonius appearance; but then all the cells were never seen at the same time. Many were reserved for hidden and criminal purposes, and when some of those nuns were apparently cheerful and happy, leaving on the visitor's mind an impression that nothing but happiness reigned throughout the whole nunnery, there were probably some of them, unseen and unheard by strangers, writhing in the agonies of childbirth. This is no fancy sketch. Read Llorenti's History of the Inquisition, and you will find that the picture I give is far short of the reality. Such was the profligacy of friars and nuns, as Llorenti informs us, in the fifteenth century, that the Pope, from very shame, had to take notice of it. He had to invest the inquisition with special power to take cognizance of the matter. The inquisitors, in obedience to orders from their sovereign Pope, entered immediately upon the discharge of their duties. They issued, through their immediate superior, a general order, commanding all women, nuns and lay sisters, married women and single women, without regard to age, station in life, or any other circumstance, to appear before them and give information, if any they had, against all priests, Jesuits, monks, friars and confessors. The Pope was not fully aware of what he did, when he granted the aforesaid power to the inquisition. He supposed that the licentiousness of his priests did not extend beyond women of ill fame; but his holiness was was mistaken, as he subsequently discovered. All were obliged to obey the summons of the inquisition. Disobedience was heresy - it was death. The number who made their appearance, to ledge information against the priests and confessors, in the single city of Seville, in Spain, was so great that the taking of depositions occupied twenty notaries for thirty days. The inquisitors, worn out with fatigue, determined on taking a recess, and having done so, they reassembled and devoted thirty days more to the same purpose; but the depositions continued to increase so fast, that they saw no use in continuing them, and they finally resolved to adjourn and quash the inquiry. The city of Seville was found to be one vast area of pollution. But Americans will still say, this occurred in the fifteenth century; no such thing can take place now. The whole social system is different now from what it was then. I tell you again, Americans, that you are mistaken in your inference. Priests, nuns and confessors are the same now that they were then, all over the world. Many of you have visited Paris, and do you not there see, at the present day, a hospital attached to every nunnery in the city. The same is to be seen in Madrid and the principal cities of Spain. I have seen them myself in Mexico, and in the city of Dublin, Ireland. And what is the object of those hospitals? It is chiefly to provide for the illicit offspring of priests and nuns, and such other unmarried females as the priests can seduce through the confessional. But it will be said, there are no hospitals attached to nunneries in this country. True, there are not, but of my own knowledge and from my own experience through the confessional, that it would be well if there were; there would be fewer abortions, there would be fewer infants strangled and murdered. It is not generally known to Americans, that the crime of procuring abortion, a crime which our laws pronounce to be felony, is a common every day crime in Popish nunneries. 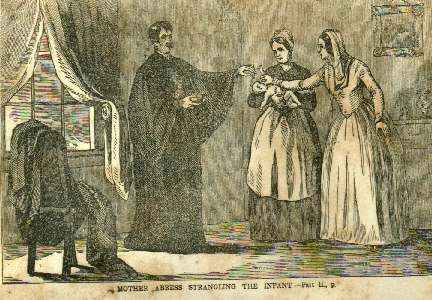 It is not known to Americans, but let it henceforth be known to them, that strangling and putting to death infants ins common in nunneries throughout this country. It is not known that this is done systematically and methodically, according to Popish instruction. The modus operandi is this. The infallible church teaches that without baptism even infants cannot go to heaven. The holy church, not caring much how the aforesaid infants may come into this world, but that they should go from it according to the ritual of the Church, insists that the infant shall be baptized. This being done, and its soul thus fitted for heaven, the mother abbess gently takes between her holy fingers the nostrils of the infant, and in the name of the infallible church consigns it to the care of the Almighty; and I beg here to state, from my own knowledge through the confessional, that the father is, in nearly all cases, the individual who baptizes it. Virtuous ladies, into whose hands this book may fall, will exclaim that this is impossible. If even nuns had witnessed such things, however depraved they may be, they would fly from such scenes; or at all events, no nun, who has ever been once guilty of such crimes, would commit them a second time. Here, again, we see how little Americans know of Popery; and of the practices of its priests and nuns.